A Dizzying Number Of Ditsy Prints: Vote for your favorites! This week was a hard contest. We asked designers to come up with ditsy prints, which is a genre of fabric design for which — it turns out — there's not a terribly specific definition. Over 400 designs were submitted and so, with the help of our intrepid team of volunteer moderators, we had to do some serious whittling to get down to a manageable field of entries. 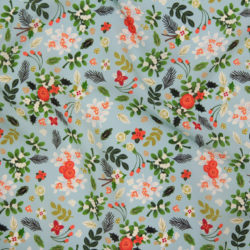 Ditsy prints are small-scale prints, often used for clothing, that employ a scatter effect rather than a symmetrical design. As tough as it was to decide which of the entries really fit that definition, one rather thrilling thing about this week's contest is that this is the first contest we've every had specifically for small prints, which really are much more common in the fabric world than the larger repeat sizes that characterize most of our contests. We hope you'll have fun voting, but hope you'll have even more fun sewing things with the winners in a week or two! 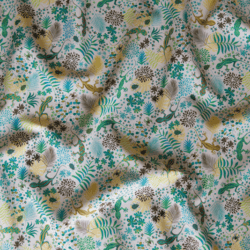 Announcing the Top 10 Ditsy Lizard Fabrics! A LOT of really great patterns! Probably one of my favorite contest themes so far. Great work everyone!